MOVE EXISTING TELNET AND WEB APPS TO ANDROID AT A PACE YOU CONTROL. What Terminal Emulator solution do you use? Rocket BlueZoneTerminal Emulation provides traditional desktop and two-tier web-to-host browser access to your back-end systems. BlueZone's stability, robust feature set, and industry-standard security make it an ideal enterprise-wide replacement for your current terminal emulation solutions. iTerm2 has a lot of features. Every conceivable desire a terminal user might have has been foreseen and solved. TeraTerm is an open-source, free, software implemented, terminal emulator. It emulates different types of computer terminals, from DEC VT100 to DEC VT382. ConEmu-Maximus5 is a Windows console emulator with tabs, which presents multiple consoles and simple GUI applications as one customizable GUI window with various features. Yakuake is a drop-down terminal emulator based on KDE Konsole technology. Terminal is a terminal emulator application for accessing a UNIX shell environment which can be used to run programs available on your system. The "konsole-devel" mailing-list is targeted at developers and interested users. The bug report and reviewboard emails for Konsole are also posted automatically to the list. With Reflection® ZFE extend the value of host applications to new users by providing web access with advanced security built in. Reduce the resource-intensive cycle of installing, configuring, patching, and managing traditional desktop emulators by delivering simplified zero-footprint access to those who need it. 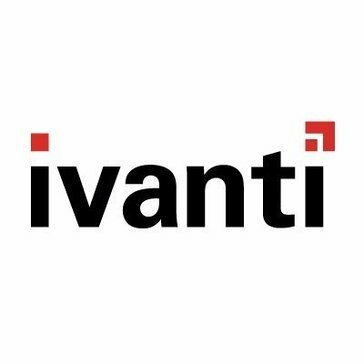 * We monitor all Ivanti Velocity reviews to prevent fraudulent reviews and keep review quality high. We do not post reviews by company employees or direct competitors. Validated reviews require the user to submit a screenshot of the product containing their user ID, in order to verify a user is an actual user of the product. Hi there! Are you looking to implement a solution like Ivanti Velocity?